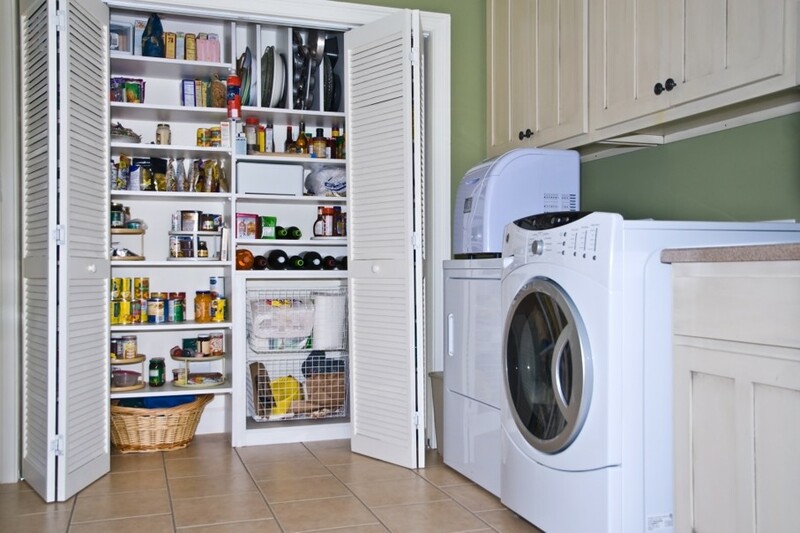 The laundry room is another room in your home that should be tidy and organized. The laundry room is often the most used room in the house, and the most neglected as far as interior design. Who wants to put effort and money into a room that’s just used for a dreaded chore? But if you put a weekend and a few bucks into this essential space, you might just find yourself tolerating the task – maybe even enjoying it! 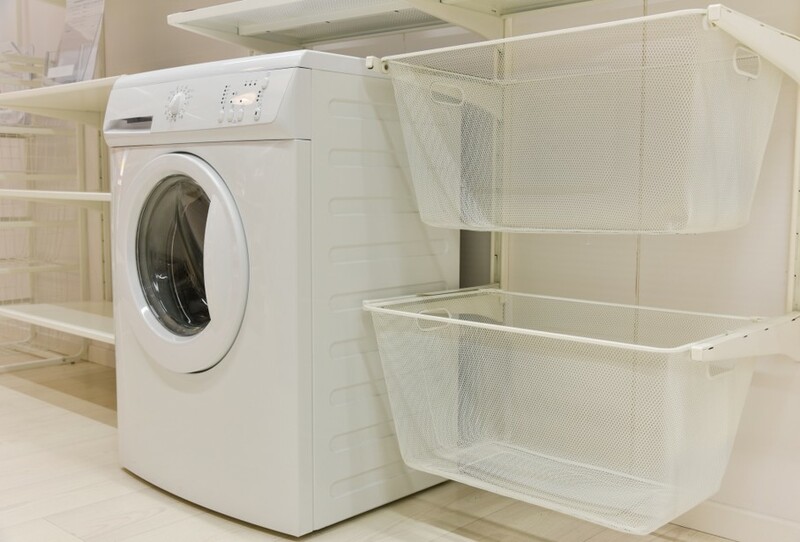 These tips for an affordable and attractive laundry room assume that you’ve already got your appliances, thus your costs will only be for materials to add aesthetic appeal, storage, and workspace. The first thing to do is to free up floor space by stacking your washer and dryer. Kits are available for most models, running between $30 and $100 on average. You can leave them freestanding or put up a divider if you prefer a cleaner look; plus, a wall panel allows you to hang hooks or shelves for more storage. If you’ve got paint from a former home improvement project, this can be used to give your space a bright, cheerful new look. Stencils can be had for a couple of dollars, and you can use them to create an inspirational phrase on a bare wall, or simply the words “Laundry Room” for an added whimsical touch. Even an outdated laminate floor can be painted to match your color scheme and brighten the area – just make sure to use a primer first and get porch floor paint, which is engineered to stand up to foot traffic. Next, visit your local salvage yard or Habitat for Humanity store location. These are great places to pick up excess countertop material and hardware, which can be refinished inexpensively with some paint and epoxy glaze. This can be mounted to the wall space that was freed up by stacking the appliances. 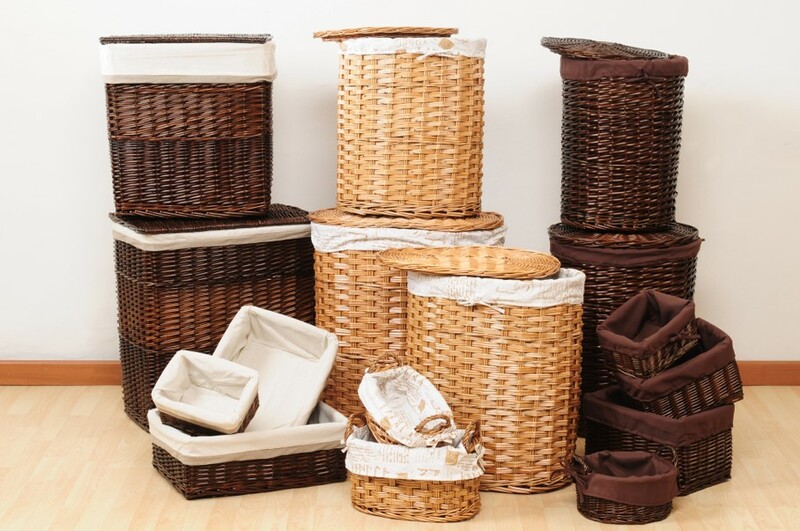 Place tall, narrow, rolling baskets under the countertop and label them with your preferred method of sorting, such as lights, darks, towels, delicates, etc. Of course, you’ll want to instruct each family member that if they want clean clothes, they’ve got to utilize the system. The folding surface can double as a place to treat stains and do quick repairs. Install shelving over the countertop to hold laundry products, the ironing board, and other odds and ends that don’t have a home. Locate gaps between the studs in the opposite wall to find areas where space is going unutilized. By installing shelves into these areas, you can create a place for each family member’s basket of clean laundry, minimizing your trips to the various bedrooms. 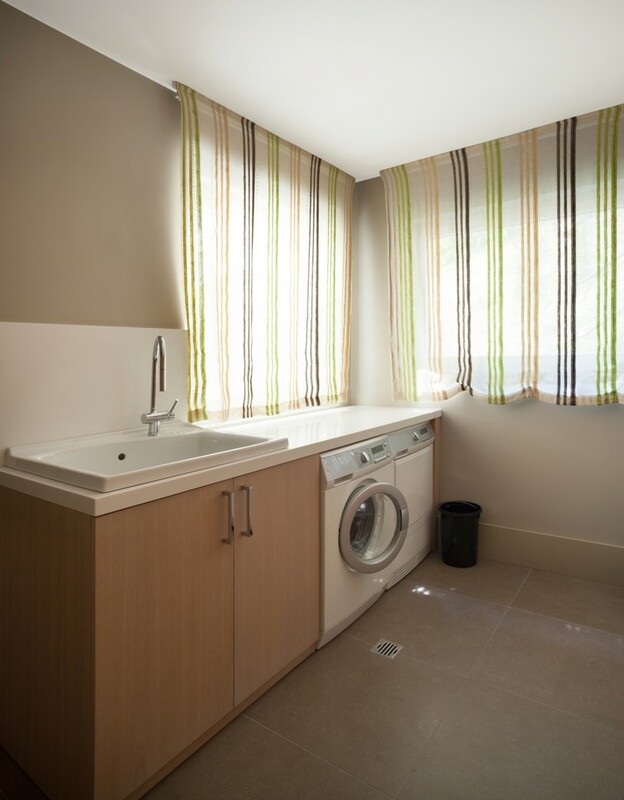 No need to deliver – each person will know exactly where to find their freshly washed clothes! Even a shallow area of wall space can be put to good use – install your ironing board so that it can be pulled down when needed. If you’re lucky enough to have a window in your laundry area, pull out those curtains you took down from the living room last year and repurpose them for your beautiful new space. For an even simpler solution, a tension rod with pretty scarves hanging over it brings a pop of color and interest into the room. 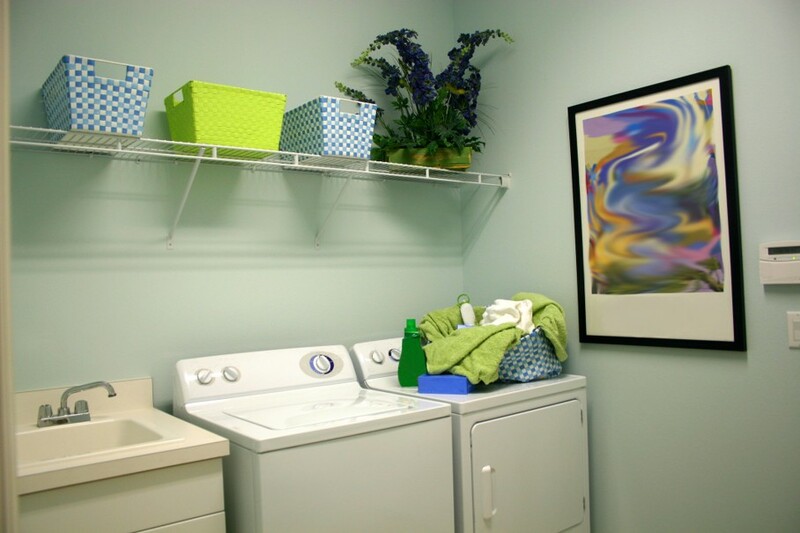 A budget laundry room remodels can be a fun weekend project and doesn’t have to set you back a pretty penny. The key is finding your materials from unconventional sources, making use of what you already own, and thinking creatively about areas that are being underutilized. Show us your favorite laundry room organization and makeover ideas!